He's brash, brilliant, and drawn to controversy like a moth to a flame. 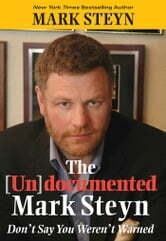 For decades, Mark Steyn has dazzled readers around the world with his raucous wit and brutal honesty. Whether he's sounding off on the tyranny of political correctness, the existential threat of Islamic extremism, the "nationalization" of the family, or the "near suicidal stupidity" of America's immigration regime, Steyn is alwaysprovocative—and often laugh-out-loud hilarious. 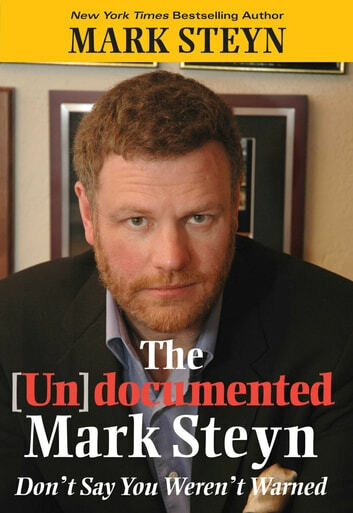 The Undocumented Mark Steyn gathers Steyn's best columns in a timeless and indispensable guide to the end of the world as we know it. Although I had read a large number of the articles as a follower of Mark Steyn's website, seeing them in a new context was fun. There are so many people who read his work, if only for a balance in their world opinions. An exceptionally good read.